Will there be enough portapotties for women at the inauguration? A GW professor says no. A local law professor is threatening to sue the Presidential Inaugural Committee over inadequate restroom facilities for women. 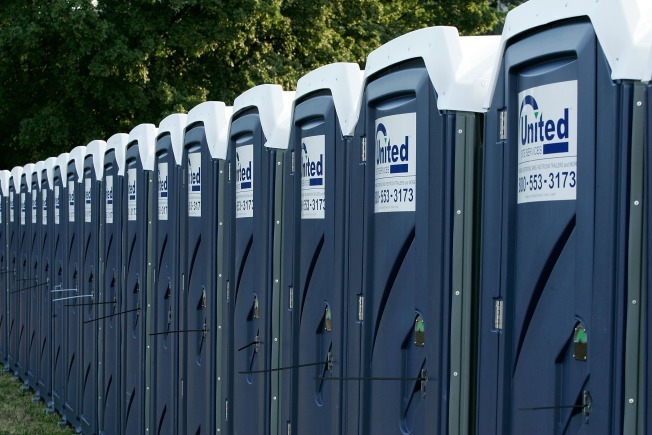 George Washington University public interest law professor John F. Banzhaf, III, said the National Park Service's plan to have roughly the same number of portable toilets designated for men and women is discriminatory because it will result in much longer wait times for women. Banzhaf wants more toilets designated for use by both sexes, and a two-to-one ratio of women's facilities to men's facilities. He also suggested that inauguration staffers be given the authority to direct women to men's toilets, if necessary. "Women take far longer than men to urinate, often have to take additional time for feminine hygiene, pregnancy and for young children in tow, and are unlikely to relieve themselves in public as men are sometimes forced to do," Banzhaf said in a statement. Banzhaf said he sent letters to Presidential Inaugural Committee executive director Emmett Beliveau, as well as Joint Congressional Committee on Inaugural Ceremonies staff director Howard Gantman, and JCCIC members Sen. Dianne Feinstein (D-CA) and House Speaker Nancy Pelosi (D-CA). Banzhaf is known as the "Father of Potty Parity," and has brought more than 100 successful legal challenges to restroom practices that discriminate against women, according to the statement. President-elect Barack Obama's inauguration will take place on Tuesday, Jan. 20. A crowd of two million people or more is expected for the ceremony.